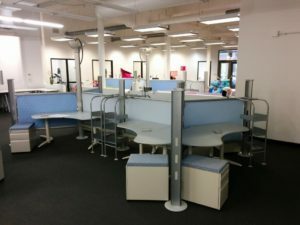 Modern Teknion benching cubicles. 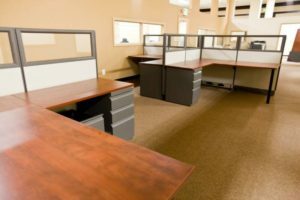 Give your office a updated open floor plan. 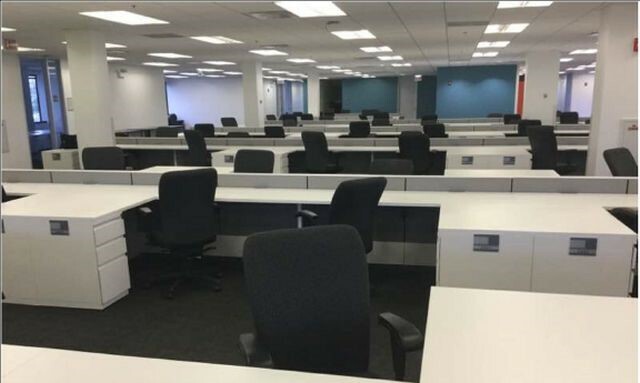 All these cubicles are 7 x 8.5, but can be modified to make 7 x 6. They come with glass and storage tower. In stock – perfect turnkey option for the business that needs furniture right away. 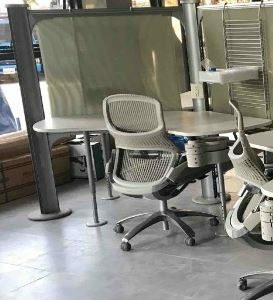 Herman Miller AO2 workstations in stock. 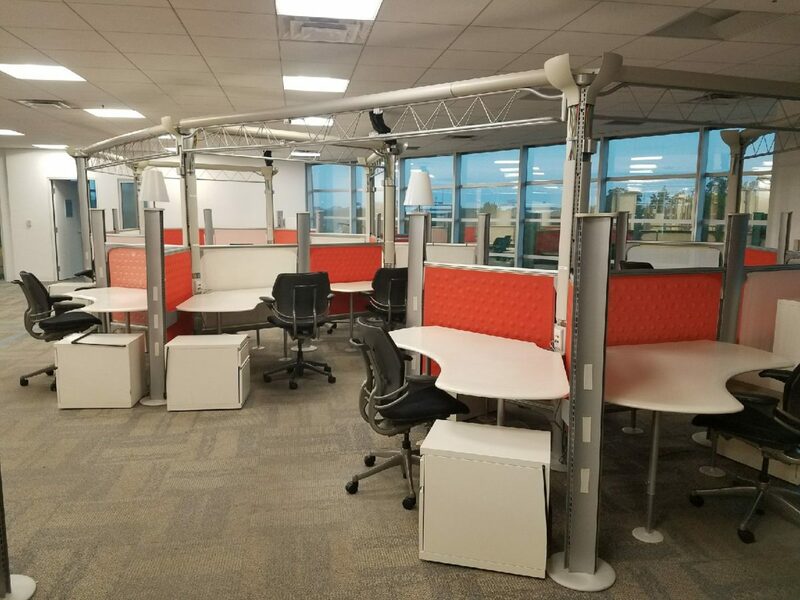 These stations can be configured into many configurations including 6’x6′, 6’x7′, 6’x8″, 8’x8′. 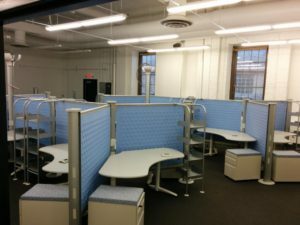 Panels are 67″, 53″, and 48″ high – You can have open stations, tall private stations, and with or without glass! 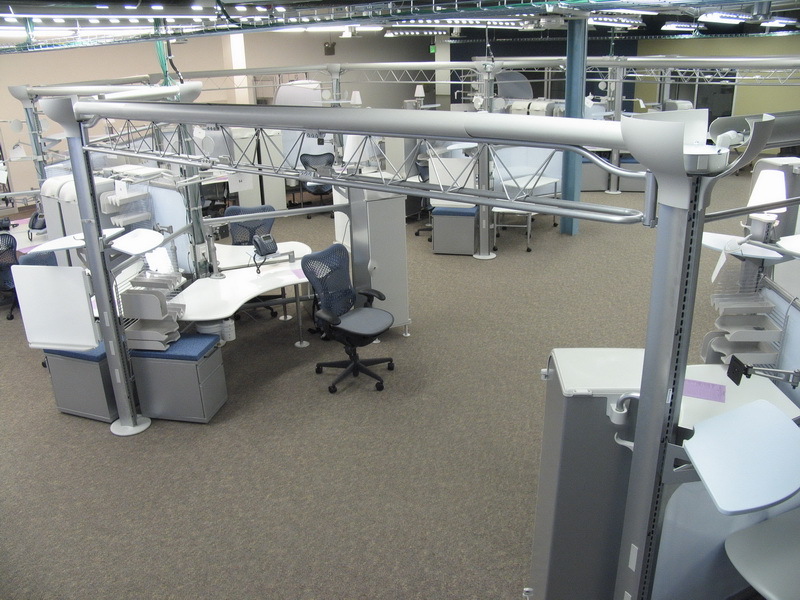 Sit-to-stand workstations, height-adjustable bases are available with these stations. We sell these across the Country! 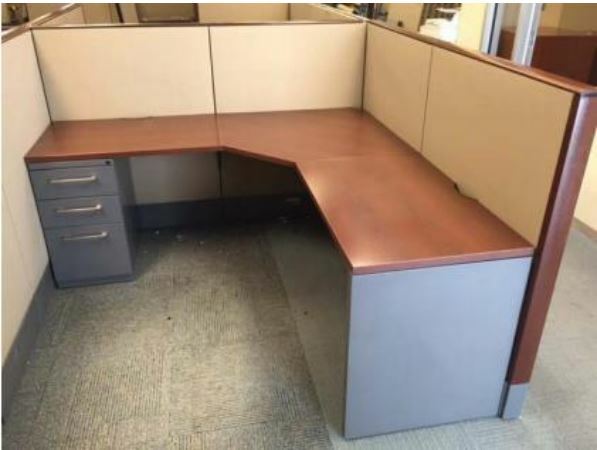 Sit stand desk upgrades available. 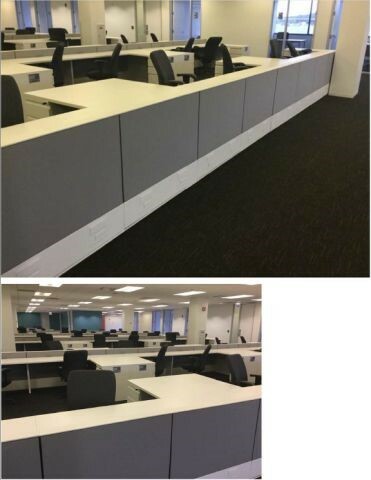 These pictures are from a recent install of Herman Miller Resolve Cubicles. 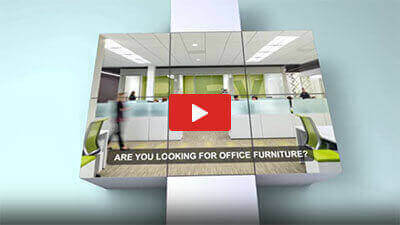 The modern looks of Resolve make it a favorite for tech companies & start-ups. 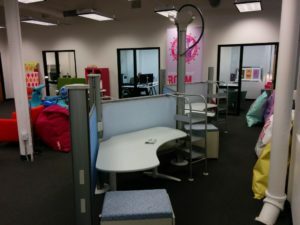 The screens & boomerang surfaces are part of what makes Resolve unique! 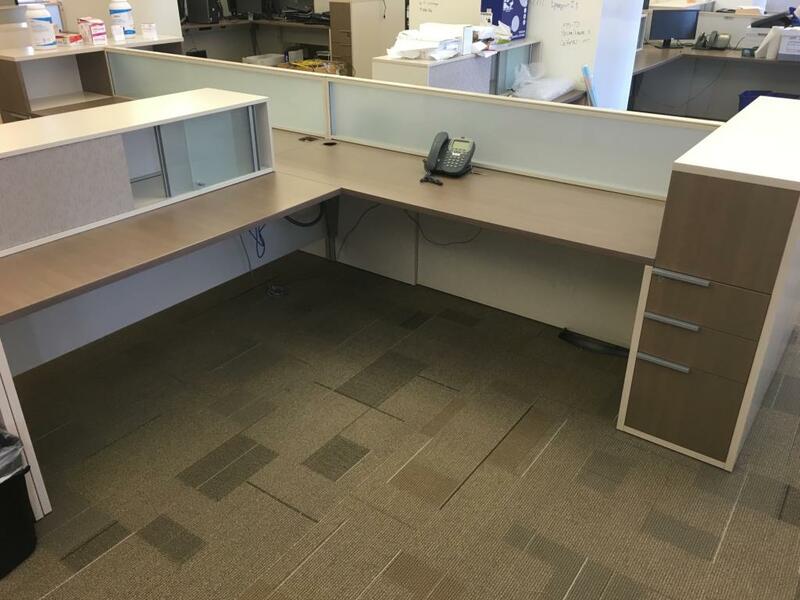 Contact us to discuss our current Resolve inventory offerings. This is a nice project and only 5-10 years old but looks like practically new. There are 3) different color options available; Citron yellow, slate purple and star blue with silver poles and folkstone grey trim. These cubicles include either a rolling file with a cushion or tall storage cabinet, tool rail with paper tray and diagonal tray, Swivel tray, phone tray and task light. 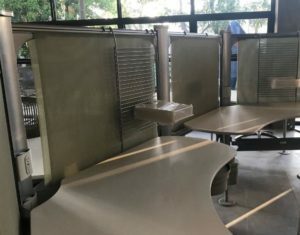 Herman Miller 120 degree Workstations THESE STATIONS HAVE HARDLY BEEN USED! With their modern appeal, these cubicle stations are at the front of the pack in terms of office furniture design. While they have hardly been used, they have a price tag that is drastically reduced from what you would pay for brand new cubicles. Why spend more for the same thing? We have over 300 screen color options. 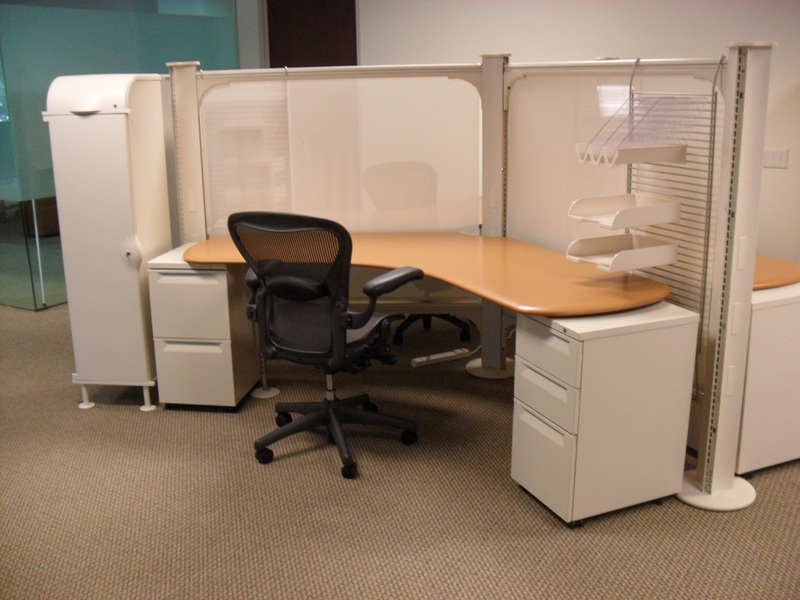 Screens 48″ or 60″H with Tall or Short Pole, and pedestals and storage units available.